72 hours… Is Your Family Prepared? Stay Informed – Follow us on social media and visit our Emergency Information page for emergency alerts and updates. Listen for Alert Ready messages over the radio and television as well. Visit shuniahfire.com/emergency for more resources to help you and your family prepare for all types of emergencies. 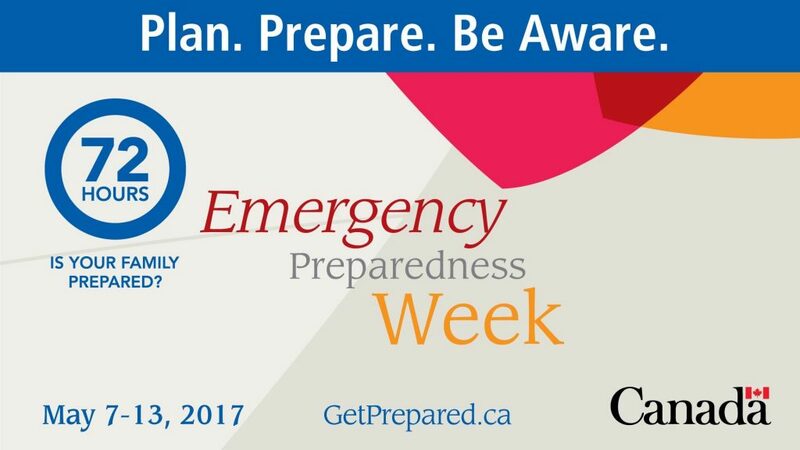 We also encourage you to join the conversation on Twitter using the hashtags #EPweek, #GetPrepared, and #Shuniah or join us on Facebook this week as we share tips on Emergency Preparedness. This week, we encourage you to take concrete actions to be better prepared. Please do your part! Experience has shown that individual preparedness goes a long way to help people cope better – both during and after a major disaster. Get an emergency kit now – it can make a world of difference.